Heat Transfer Fluid. Thermoelectric solar technology consists in concentrate the radiation to heat the fluid and produce electricity. The conditions are very strict and exigent because the valve is subjected to temperatures around 400ºC. The HTF pipes carry the heat transfer oil between the parabolic mirrors, the steam plant and the power generation circuits. Nowadays, Spain is one of the world’s largest generators of electricity from solar power plants, with a generating capacity of 432MW. 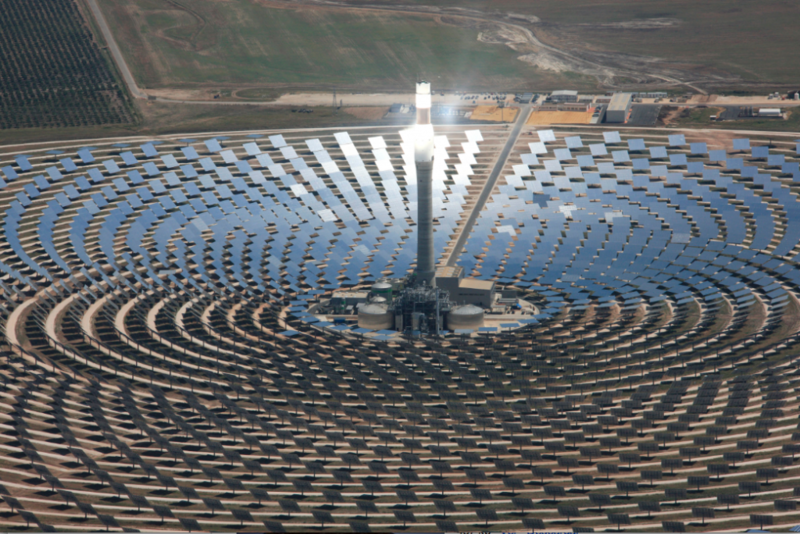 Spanish solar energy plants utilize parabolic trough technology combined with a thermal storage system using molten salt batteries to maximize their power generating capacity. For this reason IBOR has design and develop specific ball valves for this service.